In activities spanning board development, contract assembly, and after-sales service, XJTAG boundary scan is enabling QSI Corporation, the American developer of rugged embedded systems, to shorten time-consuming test tasks and pinpoint hard-to-find faults such as bad vias in multi-layer boards – and deliver powerful capabilities without requiring expensive add-ons. The boards for QSI’s HMI and MDT products are assembled by a manufacturing partner, which tests the finished boards using fixtures provided by QSI. However, if a defect prevents the core logic from operating, the fixture cannot be used. QSI has overcome this challenge by incorporating the XJTAG boundary scan system into the test equipment provided. The run-time-only XJTAG variant, XJRunner, makes this a cost-effective option. QSI is also using XJTAG in their own technical departments, including engineering and product servicing..
Because the company’s products are subjected to rigorous usage in the field, QSI aims to provide responsive service and repair facilities for their customers. Using conventional test techniques to diagnose faults in returned units, service engineers could expect to spend more than one hour per board to probe all of the data, address and control lines. “Using XJTAG in our service department has taken a one- to two-hour task and solved it in 15 minutes”, explains Eric Anderson, Electrical Test Engineer at QSI. The QSI engineering group is also using XJTAG to bring up new designs. The company’s latest board has two JTAG devices, and Anderson says the engineering team has used XJTAG to program and test one of the devices, and then to test the remainder of the product. “There is so much freedom in XJTAG that other testers do not provide. As engineers, we want to be able to control every part and see exactly what is happening at any place in the system. XJTAG gives us that freedom,” he concludes. XJTAG has taken a one- to two-hour task and solved it in 15 minutes. The XJEase scripting language is a very powerful feature that allows us to test almost any device connected to the processor. We can test devices from LEDs to ROMs, and can also test I2C and SPI devices without having to buy expensive add-ons. We can also toggle individual pins to trace obscure faults within minutes. As engineers, we want to be able to control every part and see exactly what is happening at any place in the system. XJTAG gives us that freedom. 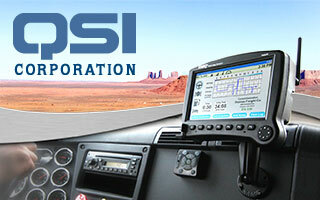 QSI Corporation, located in Salt Lake City, Utah, USA, designs and manufactures rugged Human Machine Interface (HMI) modules and Mobile Data Terminals (MDT) for industrial OEMs and commercial vehicle systems integrators. The company’s products include character and graphic terminals tested to comply with standards such as NEMA, IP, MIL-STD, CE, and UL. The terminals withstand high levels of shock, vibration, humidity, and other environmental conditions. They are programmable, customisable, and feature many configurable hardware options to match customers’ exact needs.